A major Norwegian cruise ship operator has joined international environmental organizations in their call for a ban on heavy fuel oil in Arctic shipping. They’re in support of the Clean Arctic Alliance’s “Arctic Commitment,” which wants to get the polluting fuel, known as HFO—which is already banned in Antarctica—out of the Arctic by 2020. That Arctic Commitment wants key industry players to drop HFO—even before there’s a ban on the use of this oil, a toxic, tar-like sludge. Called the “king of marine fuels,” HFO is used by almost half the ships operating in the Arctic. But it has a big down side—the oil burns slowly, and it’s dirty, throwing heat-causing, lung-irritating black particles over the Arctic. And if it’s ever spilled in cold waters, HFO would be impossible to clean up, critics say. The Arctic Commitment, launched Jan. 25 at the Arctic Frontiers conference in Tromsø, Norway, wants the International Maritime Organization to phase out HFO in Arctic shipping by 2020. But, in the meantime, it urges shipping companies operating in the Arctic to drop HFO now in favour of cleaner fuels. The IMO, the United Nations agency with responsibility for the safety and security of shipping and the prevention of marine pollution, has said it plans to start work on a phase-out of HFO in the Arctic. And the IMO set the date of 2020 for imposing a global 5,000-parts-per-million cap in HFO for sulfur—a pollutant that can lead to many harmful health effects. But that doesn’t meet the goal of the Clean Arctic Alliance, which wants the IMO to commit to getting HFO totally out of the Arctic, where the soot generated from exhaust from HFO is believed to be responsible for at least 30 percent of warming in the Arctic. 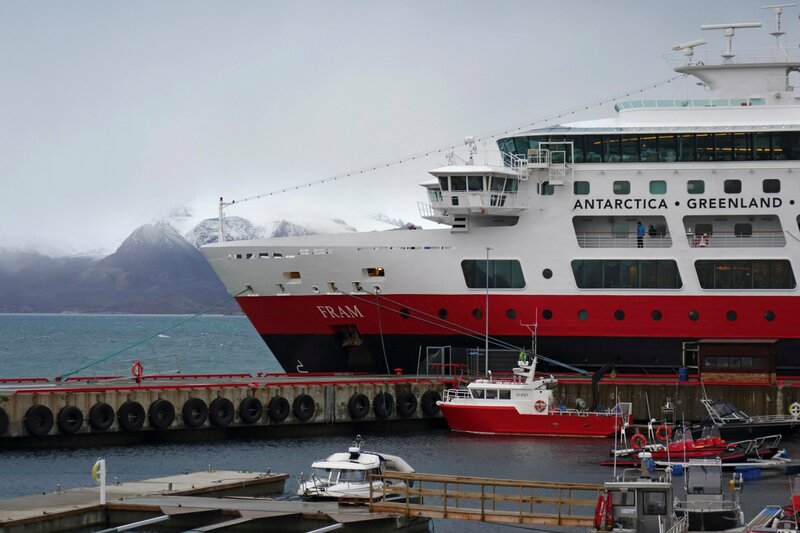 Research has shown that reducing soot emissions, like those from HFO, could cool down the Arctic faster and more economically than any other quick fix. In December 2016, Canada and the United States announced a joint “phase down” of HFO from their respective Arctic regions. Neither the Crystal Serenity nor its companion icebreaker, the RRS Sir Ernest Shackleton, which sailed through the Northwest Passage in 2016, carried any HFO on board.